Welcome to Ripon House Online! With two lakes surrounded by mountains, a medieval castle, a country park, the National Slate Museum and the famous Snowdon Railway, it is easy to understand why Llanberis is regarded as special. Within this area of outstanding natural beauty is the widest variety of things to do as well as excellent places to eat and shop. Llanberis is the ideal place to visit at any time of year. Walking and climbing have always been favourite pasttimes, with one of the most popular footpaths up Mount Snowdon starting in the village. However, Llanberis now has a growing reputation for all manner of outdoor activities including water sports, pony trekking, cycling, paragliding and diving. Equally, Llanberis is gaining an impressive record as the host venue for a calendar of national outdoor events. 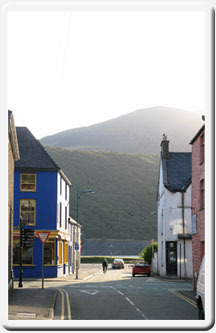 Llanberis village lies at the foot of the Llanberis mountain pass, an area rich in natural beauty and history. The pass itself hosts some of the most famous rock climbs in climbing history, as well as providing great access for hill walking some of the most impressive mountains in Britain. On one side of the pass, there is the Snowdon mountain range and on the other side, the famous Glyderau mountain range including the scrambling thrills of Mt. Tryfan. If relaxation and tranquillity are more your thing, then 20 minutes north of Llanberis lies the Isle of Anglesey and the Menai Strait hosting a number of unspoilt beaches and coastal footpaths. Llandudno, Great Ormes Head, Colwyn Bay and Conwy are also close by (about 40 mins). Further south lies a number of other delightful places to visit including the quaint villages of Betws-y-Coed and Beddgelert with their neighbouring forests and rivers. The City of Bangor, and Caernarfon with its impressive castle are the two main urban centres in North Wales. So if you fancy a little retail therapy or a night out on the town, then a variety of bars and restaurants can be found a short distance away. Public transport is excellent in Snowdonia and North Wales all year round, so whether you come by car, bus or train, the exceptional attractions of this area are accessible to all.